We would like to invite you to the MedInnovate Winter Symposium in Munich in January 2018. The Winter Symposium provides a venue for healthcare innovation and represents the finish of the MedInnovate Graduate Programme. It will take place in Munich at Nickl Academy on January 25, 2015 starting at 18:30 (sharp). 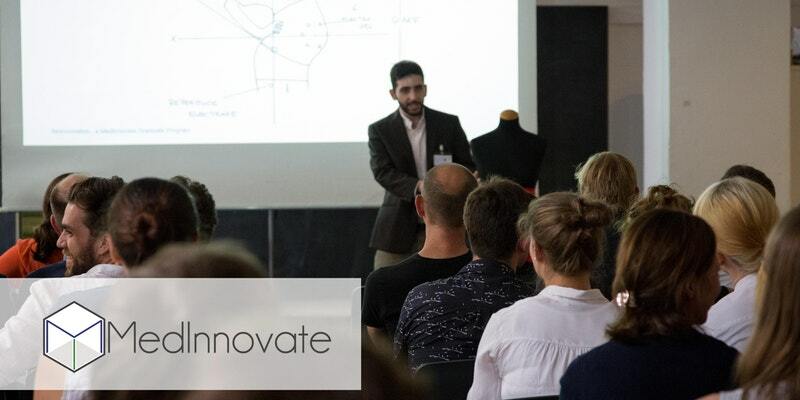 The MedInnovate Graduate Programme is a five month workshop for graduate students at Technical University of Munich, focusing on a needs-driven innovation framework similar to Stanford Biodesign. For the last months, four teams have been working extensively in the areas of Dermatology, Pathology, Traumatology and Vascular Surgery with the goal of identifying unmet clinical needs and creating innovative concepts to solve those. We are very much looking forward to seeing you in January! Information: A (free) RSVP ticket is mandatory to enter the venue and tickets are limited. People registering for a ticket and not showing up at the event without deregistering won’t be invited in future. By registering to this event, you agree that that the results and rights of use from the projects created during MedInnovate belong to the respective creators. You allow MedInnovate, Konica Minolta, Nickl Academy, TUM, and the project partners to take pictures of you during the event and agree that these photos may be published in various media such as Internet, flyers, brochures. Konica Minolta - don't they build cameras?